Jabong Mobikwik 50% Off: Jabong offering 50% off when you pay via mobikwik wallet. If you wanna buy anything then it's a very good offer for you. 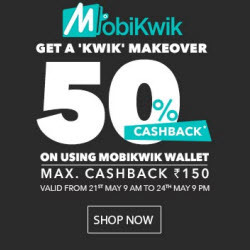 you have to select mobikwik wallet as a payment option and you will get 50% off, cashback will be credited into mobikwik account under 30 days. This sale will run from 21-24 may. 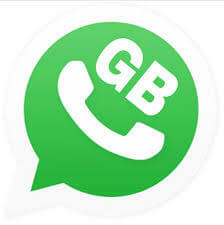 So be quick and place your order now before it will goes expire. Steps for get flat 50% Cashback on Jabong Via Mobikwik Wallet. 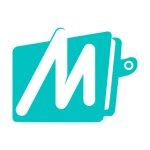 After payment mobikwik will send you cashback link, click on it for avail the cashback. This Offer is open to all Mobikwik Wallet Account holders whose accounts are valid and verified. All transactions completed during the period starting from 09:00 hrs on 21th may 2015 to 21:00hrs on 24th may 20115 shall be considered under this Offer. The Cashback amount will be calculated on the transaction value net of any refunds. 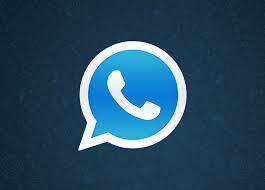 To receive this offer, purchase should be charged in full to the Mobikwik Wallet Account . No cash alternative available. 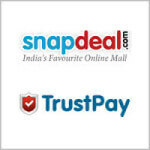 Extra 50% off on using Mobikwik wallet, max upto Rs 150 per txn within the Offer Period. Mobikwik and Jabong.com reserves its absolute right to withdraw and / or alter any of the terms and conditions of the Offer at any time without prior notice.